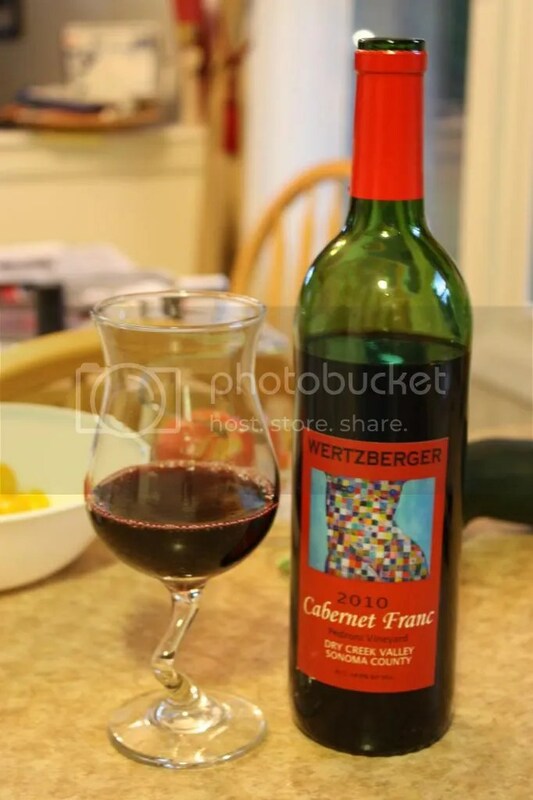 You haven’t tried wines from Bill Wertzberger? What are you waiting for, a personal invite? Don’t wait. Bill makes small lot wines from small lots of grapes that he buys from his million and one contacts in the Northern CA wine world. He’s also an accomplished artist (all his wine labels are his own artwork), a musician, and he works at Teldeschi as well. Look him up and tell him I sent you his way. In addition to all of the above, he’s a generally all around good guy and someone who is awesome to spend an afternoon with. I suggest you do so, immediately. The wine. 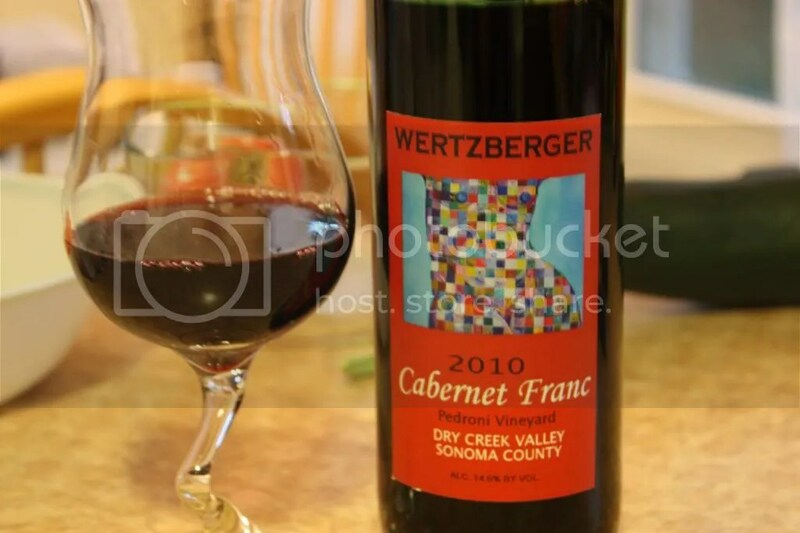 We tried the 2010 Wertzberger Pedroni Vineyards Cabernet Franc with our roast the other night. It has a real cork closure, clocks in at 14.5% alcohol by volume, and retails for $30 with 72 cases produced. 1.) I’m always impressed with the depth of the wines in Bill’s portfolio. 2.) Cab Franc is my (not so secret) wine love. 3.) Get lost in the nose of this wine. 4.) I buy a lot of wine from Bill, at least 4 cases a year. His Cab Franc is perennially one of my favorite wines. On the nose I got spice, herbs, green pepper, chocolate, strawberry, raspberry, more herbs, red cherry, and flowers. In the mouth I found raspberry, black cherry, strawberry, spice, herbs, pepper, and chocolate. 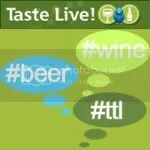 The fruit was more prominent on the palate than on the nose for me. The wine had excellent acidity and good tannins on the finish.